"In these pages, Kymythy Schultze has provided an excellent nutritional text to help us build a healthier life for our animal friends." – Stephen R. Blake, Jr., D.V.M. "The Ultimate Diet is an excellent starting point for us all. Its pages are filled with helpful hints, good advice and, most important, logic and common sense." – Bruce W. Cauble, D.V.M. 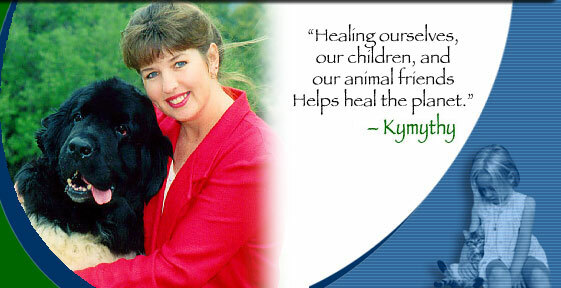 Pick up a copy of Kymythy's new book Natural Nutrition for Cats now! This book contains need-to-know facts about the pet food industry and ingredients that can harm your furry friend (dog lovers will benefit greatly by reading this book too!). Some of the information is shocking but true. And you have the right to know! Protect yourself from pet food recalls! 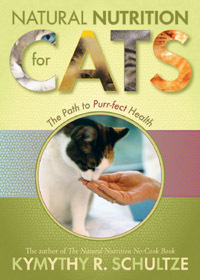 Read Natural Nutrition for Cats, today!